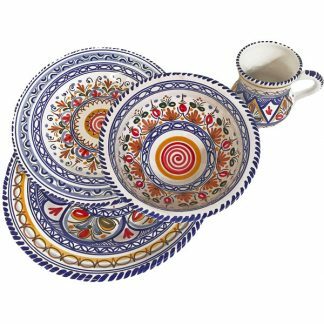 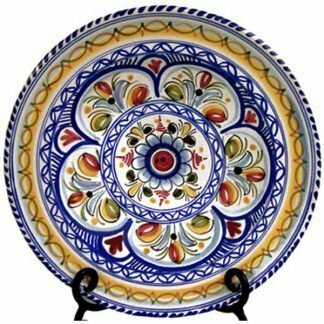 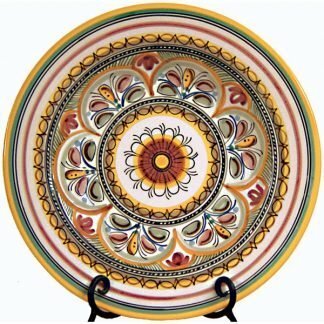 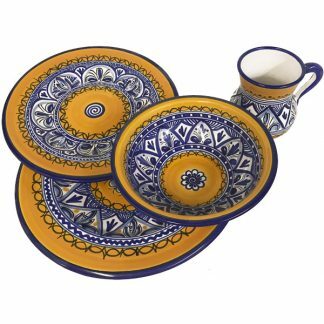 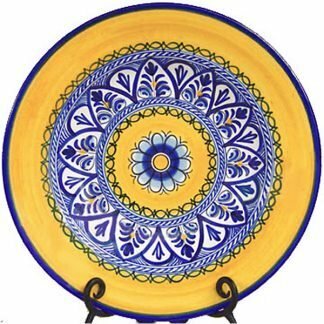 Unique hand-painted ceramic dinner plates from Spain that are original and elegant. 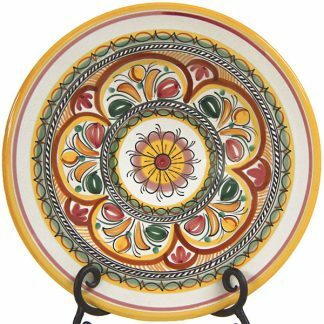 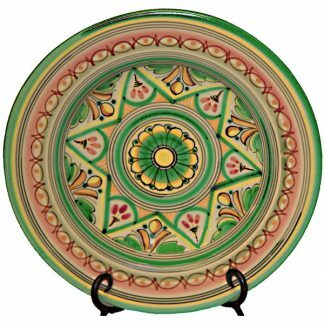 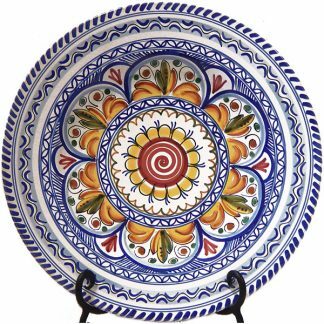 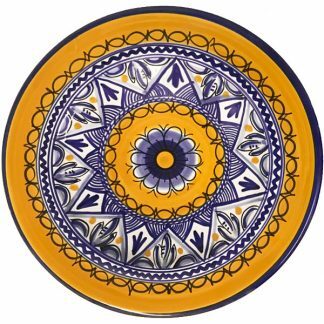 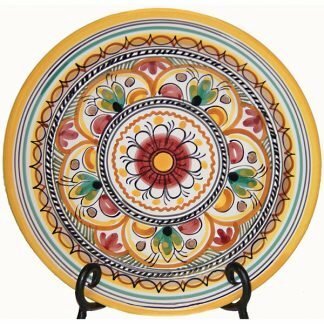 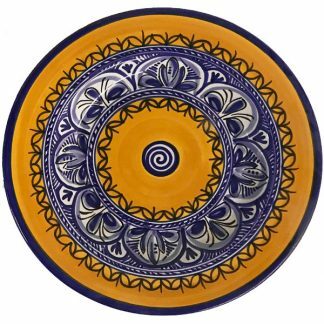 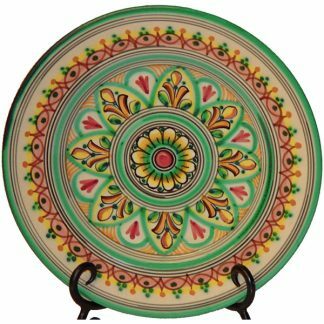 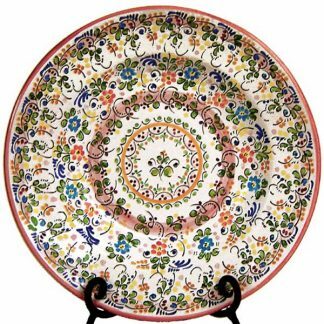 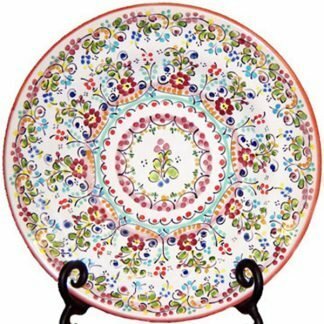 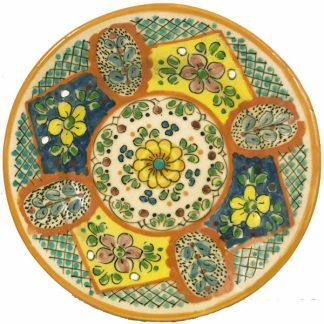 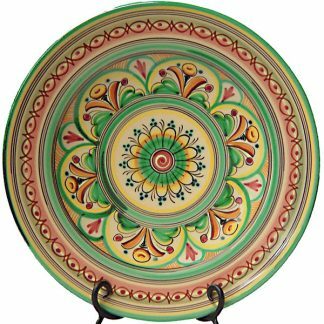 This beautiful hand painted ceramic dinner plate is slightly concave, so it is perfect for serving juicy meats, pastas or salads. 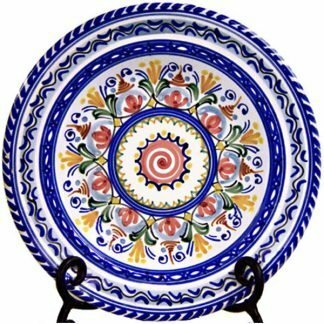 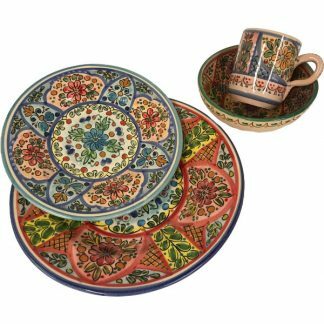 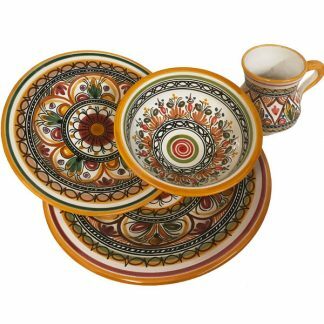 Use it with our coordinating salad plate and cereal bowl as a complete, and exquisite, Spanish themed place setting.